Well, here it is, another day, another Pre-Trip Report. I have officially been reigned in on Disney planning until after the Star Wars Cruise. There is NO WAY I am missing the BIG Meet Up so Joe will have to put up with just a little more. So as most of you know, we have booked a few days during Thanksgiving week. WHAT?!?!? You say? Yea, I know. It's crazy and probably a death sentence but I am looking forward to it. I have always worked Thanksgiving and Christmas holidays, only taking the days off that we all have. I decided this year with the "extra" points that were existing with out DVC resale we purchased we might as well use them before they are gone. We are not doing much in the parks so I think we will be ok. I got Blondie's AP Monday and made our FP selections at 57 days out. I was sweating it a bit thinking I wasn't going to get what I wanted... WRONG! I have also just completed on-line check-in for Kidani (same as last time, Upper Floor with a Sunset Savannah View. So here is a quick rundown of plans thus far. I'm trying not to overload us and I want to relax a little this trip honestly, I don't think I can! This trip will be just the 3 of us. Joe and I of course and Blondie who is 8. She is really excited about the trip, she was getting a little jealous the last couple weeks with us both going and then me again. But the Elsa Mickey Ears, Mickey Gummies, Shirt and other gifts are keeping her quiet! TUESDAY We are leaving super early to avoid the HORRIBLE Charleston traffic. I was thinking of swinging by the Character Outlet but I bought enough pins there last time to have plenty for her to trade with. We will check into AKL, show her all around then head out for our first adventure. 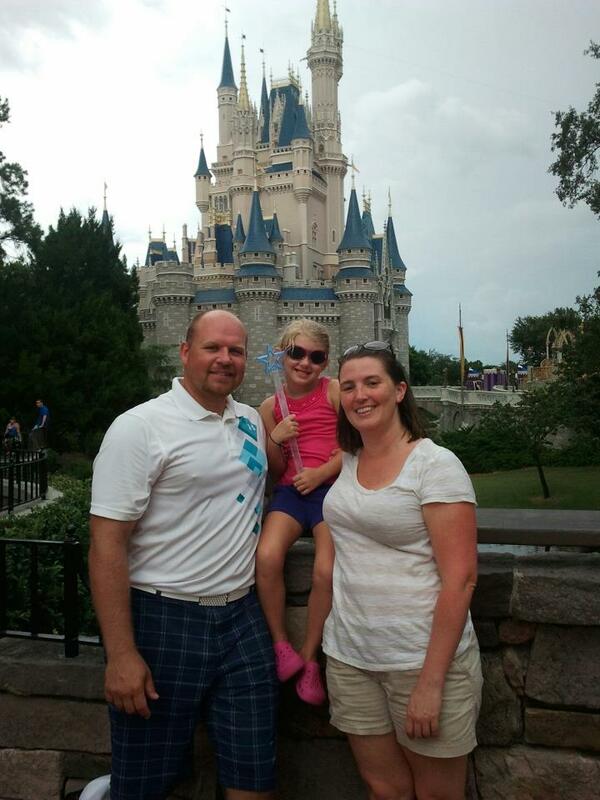 We are going to hit Winter Summerland for a round of putt-putt before heading to dinner at Raglan Road. This will be a first for us and I am really looking forward to the food. Blondie is excited about the dancers. I showed her a video and she thinks it is super cool!! WEDNESDAY AKL has EMH starting at 8 so we will head over early and hit the Safari and Everest. Blondie loves the coasters so I am sure there will be several rides. I want her to see FotLK so we will hit a showing. Since there isn't much more there that we really want to hit that day, we will grab lunch at Flame Tree then head back to AKL until it's time to head to HS for FPs around 3. ToT and RnRC are a must for Blondie. We have and ADR for Mama Melrose then it is off to see the Osborne Lights for the last time. It will be a first for Blondie. I wanted to take her last year and we couldn't manage to get back down even for a short weekend so I am really thankful she gets to see them before they are gone. SATURDAY I want to order room service breakfast and eat on the balcony before we head home. Hopefully it won't be too cool for this while we are there. Wait, there's no drinks round the pool with Mrs and mr princess in that plan?! Well of course there will be! LOL We just gotta figure it out! This will be our 4th Thanksgiving in a row we've spent in WDW. We love being there over Thanksgiving week. We've found that if we avoid MK on Thanskgiving day and go to Osborne Lights right before it closes, we can avoid a lot of the holiday crowds. Sounds great JMed. I'm gutted that we're just gonna miss each other but I don't know if I could withstand the Thanksgiving crowds. Have an amazing time! I am hopping for the little bit that we are doing in parks we are going to be ok! I knew parks on T'giving was going to be a big NO!! So in other words take our time at Mama Melrose for dinner before hitting the lights that evening?? Thanks! There is always next time!!! If you can, wait at least an hour to an hour and a half after they've been lit. They light them between 6-6:30, you have to check the day of for exact time. It's shoulder to shoulder the first hour. We go about 30 minutes before the park closes and stay 30-60 minutes after the park closes. Thanks so much for the tip! I will keep it in mind for sure. She usually hold up pretty well! But you never know. Hey, it sounds more relaxing then your girls' weekend! What a great place to spend the holiday, busy or not! 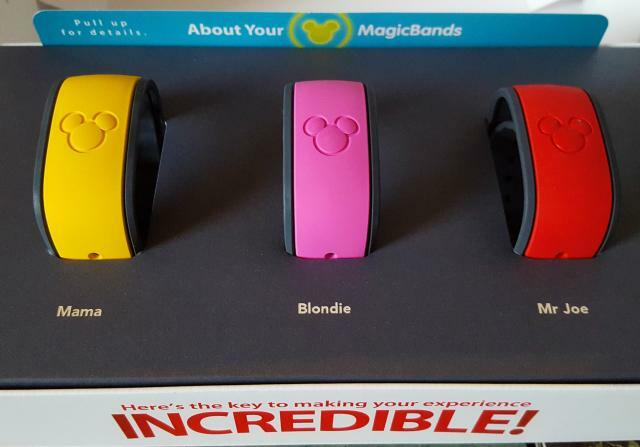 Magic bands arrived yesterday!!!! And I have been tweaking plans. It was supposed to be a relaxing trip and the more I look at it, there isn't a lot of down time. Anywho.... I refuse to change anything else! Arrival Day Tues - Leaving early early so that we can meet up with Robyn and Sy and be able to chill a little before putt putt at Winter Summerland and dinner at Raglan Road at 7:15. Wed - 8am Animal Kingdom for a couple spins on Everest, FotLK, Dinosaur and maybe a couple others, lunch at Flame Tree then back to AKL to rest before heading to HS around 3:30. I have ToT and RRC fastpasses. Mama Melrose at 5:40 the stroll the Osbourne Lights until we are ready to head out. Thurs - Thanksgiving day - Ride over and check out Wilderness Lodge. I want Joe to see it since I fell in love with it last time I was down. Then on to Epcot for a final ride on the soon to be old Soarin! Lunch will be at Beaches and Cream. Then back to AKL for down time before heading to Disney Springs for Thanksgiving dinner from the Food Trucks and La Nouba! If we are not totally wiped out, we will go for gelato after. Fri - Try to sleep in a little and lounge around before heading to Epcot for a little Holidays around the world until about 2. We will head back to the room for a bit before we face the MK... I kinda dread this but we have a couple must dos for Blondie so we have FP for Ariel, Pirates and Mine Train. The first one is for 6-7 pm so we will have plenty of time to rest. We are going to try to fit in a couple other meet and greets in the times between FP. Sat - I planned on sleeping in late until I saw that HS opens at 7am. So I added FP for TSM, Star Tours and ToT... Then the long sad drive home. I can't wait, I have started packing lists and getting things together. Blondie and I have matching Stitch shirts and we all have our Mickey shirts that we will wear! Star Wars Shirts one day are a must also! I am so so so excited about a trip with Blondie on our own! All the others were with my parents... Oh I broke down and I'm getting Memory Maker, gotta have all the ride pics with Blondie! Sounds fun. La Nouba's on my wish list, I' ve heard it's fantastic. Thanks! We caught the very beginning of Christmas stuff last year so I am hoping for lots more this time! It's wonderful! Joe and I went a couple years ago. I heard they change it up a bit so hopefully we get a little something new. Blondie loved the Cirque show we went to here last year. Amazing plans. I can't wait to see the pictures and read the trip report. Thanks everyone! My guess is it is going to be a **live** report. You know, typing up a TR overlooking the AKL Savannah while everyone else is still sleeping! So our trip of relaxation just got a little more added to it LOL!!! Joe and Blondie will be playing 9 holes of golf at Oak Trail Friday morning. It's the Sunrise 9 package. I may go along just to report on it for you all or make them take notes and pics! And a little side trip to Wilderness Lodge so that I can convince Joe we need to stay there at least once! Ice cream for dinner sounds perfectly reasonable to me I think I need to start with the No Way Jose sundae and see if I have any room left for real food after that. Well, here we are, just 4 days until we head to Orlando for our not so relaxing trip! We've worked in time with Robyn and Sy, added golf (I am going to go with them), visiting the gingerbread houses and Blondie has made a couple of requests that I have to work in. We are leaving tonight when I get home from work to go to Atlanta for the weekend. Shopping, a hockey game and Thanksgiving lunch on Sunday with the family is on the agenda. I will have to repack on Sunday night since I work Monday out of town (another 4 hour round trip for me) and we are leaving before the sky is awake Tuesday! I already have a majority of our stuff together so I will just have to switch stuff out of my bag and finish all the odds and ends. I got Blondie the first book of Kingdom Keepers for the ride down (I want to read it too) a Disney Card game and her very own gift card to buy what she wants. I think I want to find a couple other things and give them to her every hour of the trip for a little extra fun! I will catch up and start the live trip report in just a few days!!!! Have a super trip Jenn!!! Give Robyn a hello from me! You are totally crazy. And yet I would love to spend a big holiday at WDW. So you and Robyn fill us all in on what it's like, okay? We made it home from Atlanta around 7 (I think) and I have unpacked, freaked out, and repacked. Everything is piled in the hall ready to go in the truck tomorrow night after I get home from work. I have a bag of snacks for the truck and to have in the room. Joe is picking up drinks tomorrow. I have 6 small gifts for Blondie and she will get one each hour of the trip! CCP, I will keep you posted! Robyn, see you soon! Spook and Boomer, I am on it!!!! !